Bali Treetop Adventure Park Tour is a Bali Activities Tour fun activity set in an open air environment for group and family in Indonesia, 0pen everyday in Bali Botanical Garden, Bedugul. We also provide you with company outing and team building services. Try and get memorable experience and enjoy a fantastic panoramic views with the Bali Treetop Adventure Park Tour offers 65 challenges for all level and ages : Suspended bridges, Spider Nets, Tarzan Jumps, Flying-Fox, Flying Swings, and many more fun challenges with 6 levels challenges in 5 adventure circuits from one tree to another with height range between 2-20 meters. Within the Bali Botanical Gardens, you can cavort like a bird or a squirrel at the Bali Treetop Adventure Park. Winches, ropes, nets and more let you explore the forest well above the ground. And it’s not passive – you hoist, jump, balance and otherwise circumnavigate the park. Special programs are geared to different ages. Bali Treetop Adventure Park have six different circuits, which go from smallest to highest, starting with Yellow Squirrel circuit for 4 to 6 year olds, and finishing with the thrilling Black Adrenalin circuit. Before you get onto the course the staff give you a harness for you to clip onto the wires between the trees. You really have to keep your wits about you, as it’s a rule to always have one clip on so just in case you fall, you’ll be suspended by the wires. One of the things that makes Bali Treetop Adventure Park so great is right in the centre of the gardens, but there is also plenty of wide-open spaces to run around and picnic in. The service in Bali Treetop Adventure Park is lovely, everyone is super friendly and helpful. There are also plenty of local ladies around that sell beautiful fresh locally grown strawberries to munch on! All in all, Treetops is a great place to go as a family to have some fun, and it’s a great workout too. Bali Treetop Adventure Park is a fun activity set in Botanical Garden Bedugul BaliBali Treetop Adventure Park is Open from 8.30 a.m to 6.00 p.m. For individual, group, company outing and team building services. All circuit platforms are held in place using an innovative compression system to protect trees from any damage.Protective half logs are used to prevent cables from cutting into trees and minimize tree trunk degradation.Please help us protect the environment: Do not smoke or litter garbage when you are in our Bali Treetop Adventure Park . Before starting the activity on the Circuits, every client must follow the Safety instructions by our Patrol Guides will explain how the circuit works, how to use the equipment, and provide all safety instructions which you need to respect at all times.The construction of Bali Treetop Adventure Park and all materials and equipments comply with European Standards EN 15567-1, and our Park is built, maintained and managed by a French management. 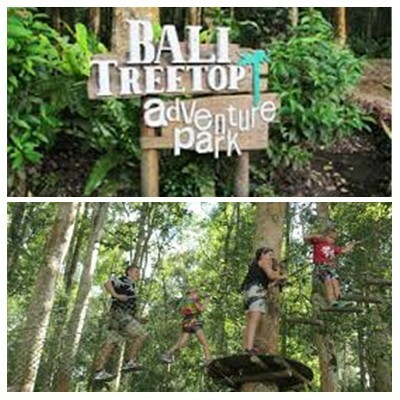 Bali Treetop Adventure Park is accessible to all whatever their level of agility or experience. With different circuits, everyone can find the right circuits for his/her level and age, or even try the more challenging circuits. Bali Treetop Adventure Park receives clients from 4 years old to over 70 with a maximum weight of 120 kg. Squirrel Green Circuit: For children ready to face new challenges. 4 to 8 years old. 95 cm minimum. Green Circuit: Introductory circuit to get a taste of the activity. Over 6 years old. 110 cm minimum. Blue Circuit: First thrills and many flying-fox. Over 8 years old. 120 cm minimum. Orange Circuit: First thrills and many flying-fox. Over 8 years old. 120 cm minimum. Black Circuit: The big thrill with breathtaking jumps. Over 12 years old. 140 cm minimum. REMARKS : If Include with transportation for return transfer to Tree Top Adventure Park at Bedugul Botanical Gardens, will have additional charge IDR. – /return transfer. 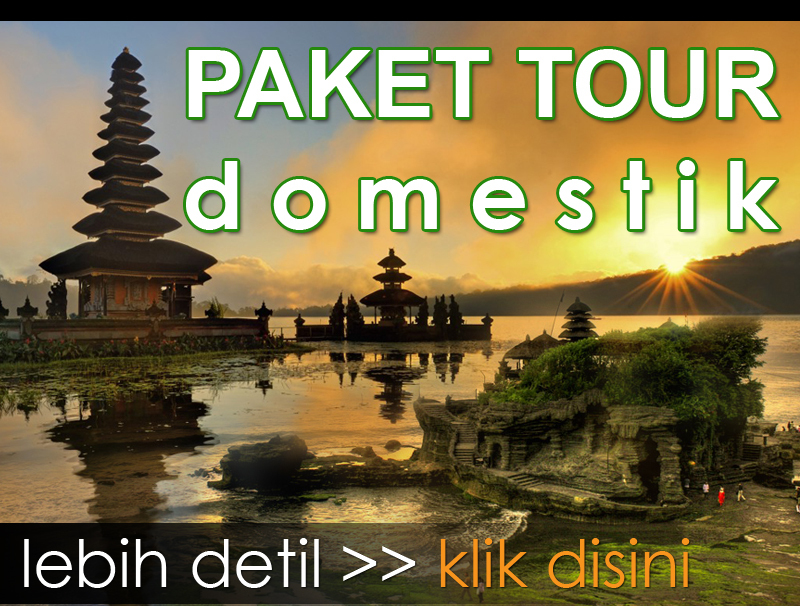 The price only include return transfer, for entrance ticket at Bedugul, you will need to pay separately at the location. All participants must be reasonably fit and healthy with minimum height of arm raised up to 130 cm, at least 4 years old and must weigh less than 120 kg. Anyone who does not meet these requirement will not be allowed to undertake the activities.